It covers the creation stories of the most important characters of the global animation history and the production of the important films of Turkish animation history. The exhibit will feature original sketches and the technical equipment used to draw animations. 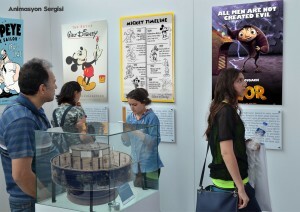 It will be an important exhibit held in Turkey for animation enthusiasts and professionals.